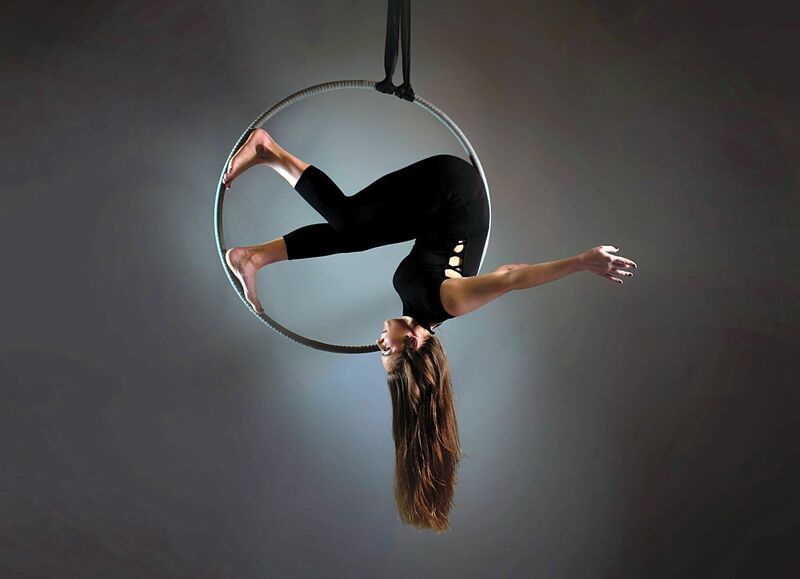 Aerial Hoop (also known as lyra) is a circular steel apparatus suspended from the ceiling. During classes and courses with AIR Hoop you will learn: amazing tricks, poses and holds, as well as build core strength and create beautiful sequences. Aerial Hoop is suitable for all abilities from complete beginners to advanced and experienced artists. We like to think of ourselves as a circus family, helping each other out on the hoop, spotting and being photographers for each other! Join in the Upside Down FUN and meet some awesome like minded people!